Is your child meeting their developmental milestones? Use our interactive screening tool to see if your 1-6 year old is on track with their gross motor, fine motor, speech, and sensory skills. Do you ever see your child get frustrated when they can’t do something their friends can do? Do you ever wonder what your child should or shouldn’t be doing as they get older? Click our Development Checklists below to see how your child is doing. At ABC, our team of Speech, Physical, and Occupational therapists play games and work TOGETHER with your child to help them. Our amazing staff and unique approach allows us to achieve amazing results that improve a child’s overall development. If you have questions about how we can help your child, contact us here, and see what we offer for Cincinnati and Dayton children’s therapy. 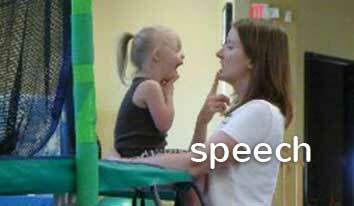 Our pediatric speech therapists use a child’s work or “play” to obtain desired communication. They treat children with a broad spectrum of disorders. Our speech therapists maximize opportunities to obtain natural speech and language from our developmentally appropriate equipment. They apply techniques that are highly integrated with physical and occupational therapists. A child’s speech or communication is the foundation for all peer and adult interaction. Speech is not only what a child says, but how they play and gesture, what language they understand and what information they can convey. Movement is the foundation for higher learning. 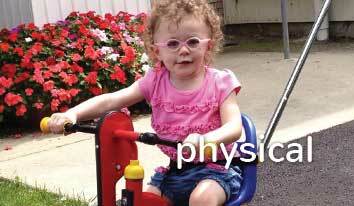 Pediatric physical therapists work to enhance overall strength and mobility. The efficiency of a child’s strength and mobility allows a child to maximize their independence. Gross motor skills such as rolling, sitting, crawling, standing, walking, running, jumping, climbing, skipping, bike riding and ball skills are the foundation of gross motor development. 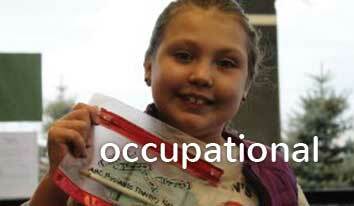 See how we, at ABC’s Cincinnati children’s therapy, can improve your child’s life! Focuses on the underlying components of development. The pediatric occupational therapist works to promote independence for a child’s “occupation,” which includes play, self-help tasks, and school related skills. ABC’s Cincinnati Children’s Therapy typically address deficiencies in a person’s fine motor skill development, dressing, hygiene, handwriting, behavior, and sensory integration.